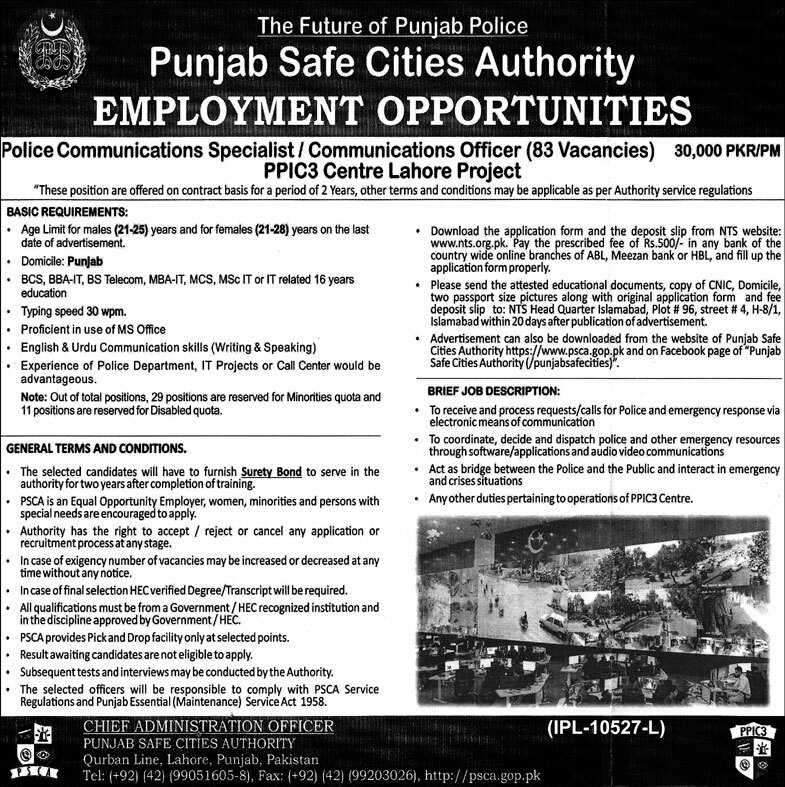 Punjab Safe Cities Authority Employment Opportunities. Police Communications Specialist / Communications Officer (83 Vacancies). Punjab Safe Cities Authority Employment Opportunities. Police Communications Specialist / Communications Officer (83 Vacancies). These positions are offered on contract bass for a period of 2 years, other terms and conditions may be applicable as per Authority service regulation.